Health & BeautyScitec ALA - 50 kaps. Scitec ALA - 50 kaps. High-quality alpha-lipoic acid in capsule form! It enhances the absorption of amino acids and creatine. It is a great transporter, as it operates insulinopodobnie. Bet on a proven supplement! 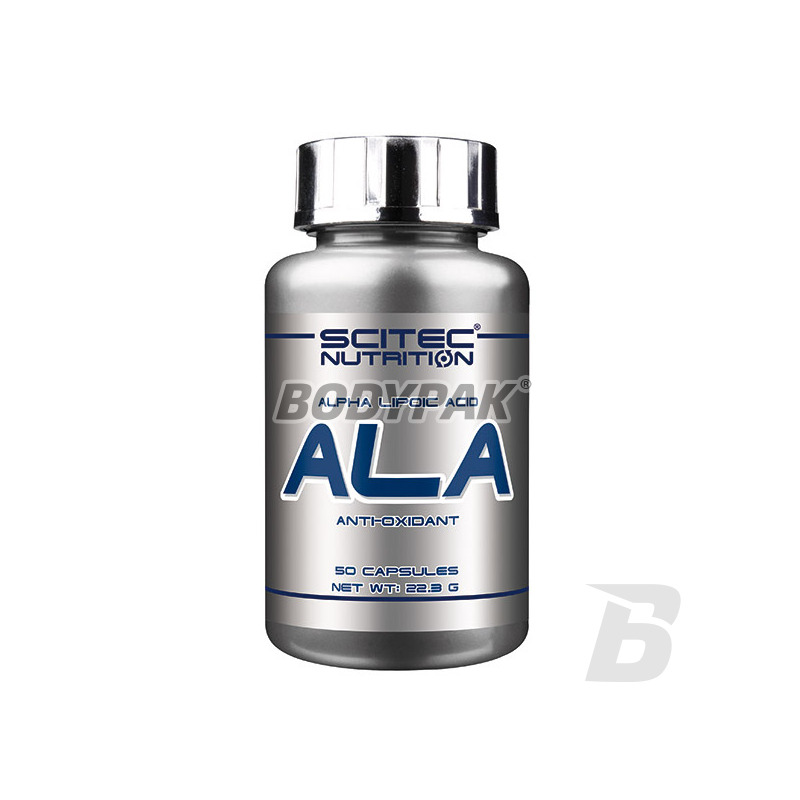 Scitec ALA acts anticatabolic, activates the production of energy. 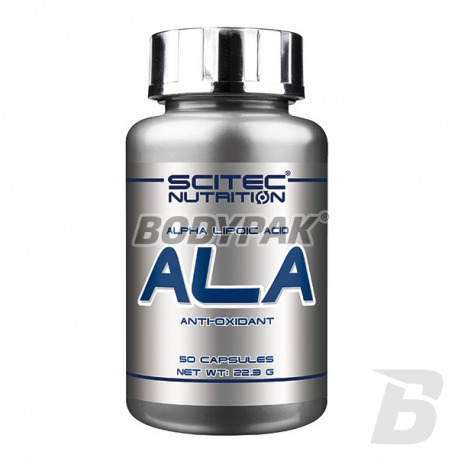 Scitec ALA regulates glucose levels and supports the work of the heart, liver and eyesight. It is a key supplement in supporting the diet. ALA is recommended for people at risk of atherosclerosis, diabetes or heart disease or liver disease. They should use him as obese people, smokers and elderly patients. Athletes helping to reduce body fat, improve strength, structure and strength of muscles. Consume 1 capsule daily, preferably with a meal. Składniki: Kwas alfa-liponowy, Dekstroza, talk, fosforan trójwapnia, żelatyna (kapsułka).